The European wasp is considered one of the worst wasps in the world - harmful to people, our outdoor lifestyles and to our horticultural and agricultural industries. Suspect European wasp sightings must be reported to our Department. We are calling on the help of everyone in the local government areas of Mundaring, Kalamunda, Swan, Gosnells and Canning following a spike in European wasp (Vespula germanica) nest numbers across Perth during 2018-19. There have been detections in these areas, but tracking wasps to their nests will require more time and effort due to bushland and difficult terrain. In response we have placed additional traps and have dedicated additional staff to surveillance and nest destruction. We are also appealing to the public, community groups, agencies and organisations to LOOK AND REPORT, and where possible assist us with the location of nests. You can view the map and table to see what nests have been located and destroyed in your area. The European wasp, Vespula germanica, is a social wasp native to Europe, North Africa and temperate Asia. European wasp invasion to other regions has been greatly aided through hitching rides on human transportation. The wasp has become established in North America, Canada, Chile, Argentina, South Africa, New Zealand and in south-east Australia (SA, NSW, ACT, VIC and TAS). 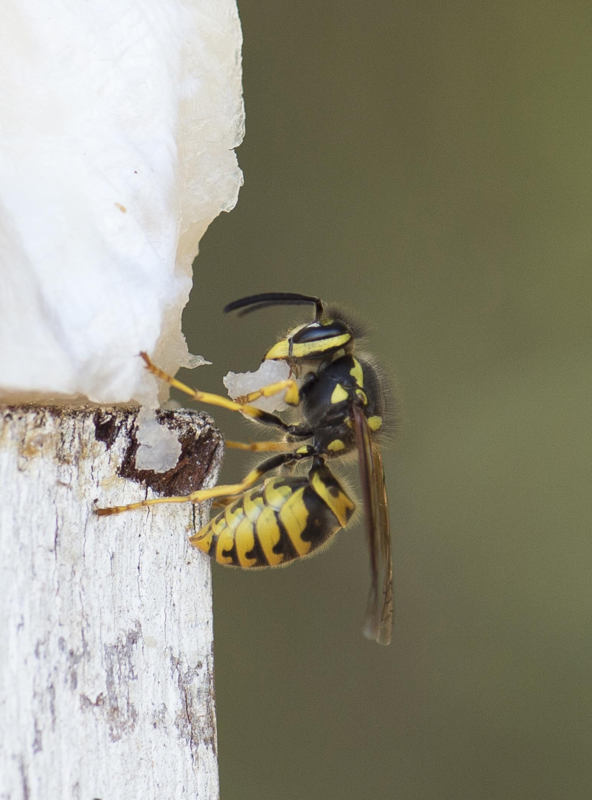 While occurrences of European wasp in Australia have been documented since 1960, the Western Australian European Wasp Eradication Program had successfully eradicated each detected wasp incursion in WA. Pose a safety risk to land users due to their foraging activities, high aggression and hidden nests – e.g. maintenance and field staff, bush walkers, picnickers, residents, café patrons, orchardists etc. 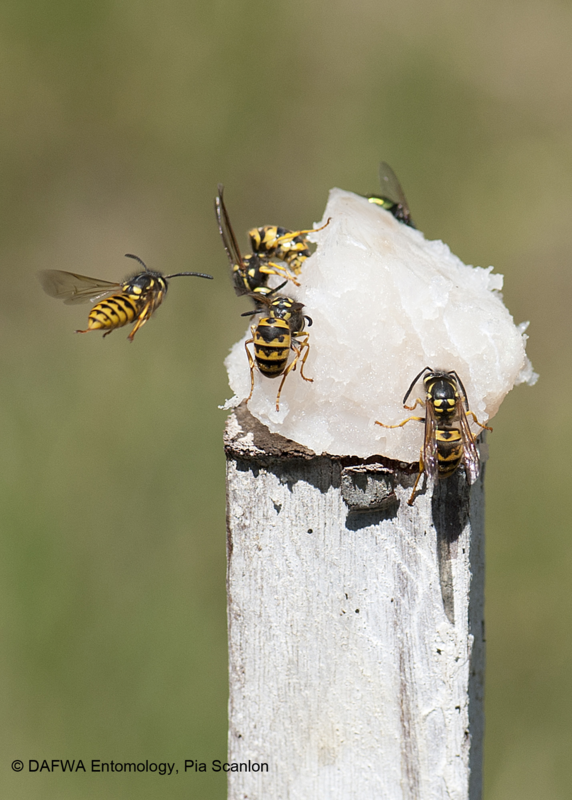 Underground nests are difficult to see and disturbing a nest can lead to 1000s of wasps attacking in defense. Risk to the environment – wasps compete with and predate on native insects; reducing insect numbers, biodiversity and ecosystem function. Damage horticultural crops like grapes and stone fruits and predate on bees in managed apiaries – impacting home gardeners and industry alike. Due to favourable environmental conditions and the lack of natural predators, the European wasp has the potential to become a greater pest in Western Australia than anywhere else in the world. Each year fertilised wasp queens arrive in Western Australia via freight and cargo from the eastern states. The queens spread to find suitable places to seed new nests that will become large (mainly underground) nests. These nests would house many thousands of wasps. 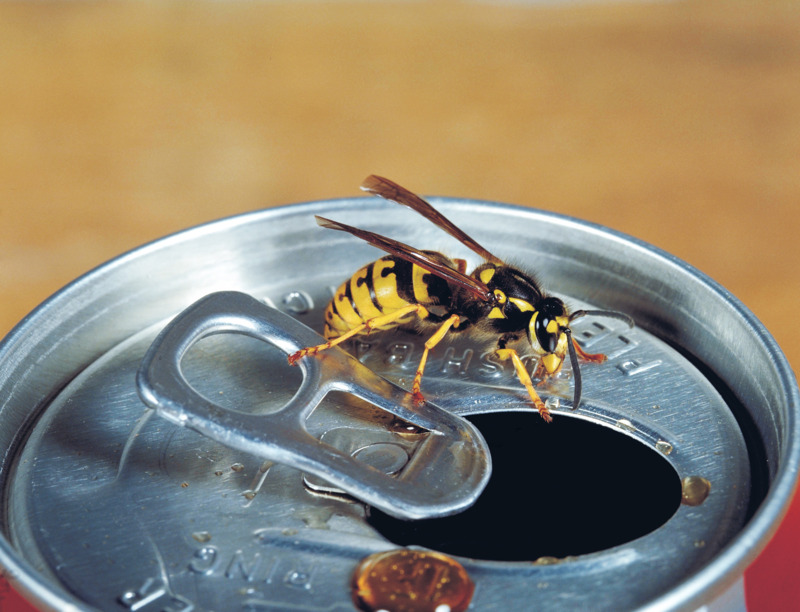 Without ongoing surveillance trapping and public reporting, European wasps would become established in WA. The predicted range of establishment for European wasp in WA is from Kalbarri to Eucla. Outside its natural habitat of Europe and North Africa, this wasp becomes a serious social, environmental and agricultural pest. High wasp population densities would threaten WA’s outdoor lifestyle, tourism, human health and the well-being of our pets and livestock. Horticulture, viticulture and apiculture industries would suffer if this pest became established in WA. Since 1994, the Agriculture and Food Division of the Department of Primary Industries and Regional Development (DPIRD) has been working with the community to conduct a surveillance and eradication program. Increased community awareness and reporting is keeping this program a success. Learn more about the Adopt-a-Trap Program.